The Key Differences Between the 760cc and 790cc? Men can be picky with their shavers. After all, it is essential for them to look good. Facial hair is hot but if it isn’t groomed well, it can look messy. For this reason, many companies make sure that they manufacture the right shavers for their avid consumers. Our website aims to provide the right information on both the Braun 760cc and 790cc. Braun Electric shavers bring a lot of convenience to men who are on the go. Most electric shavers are cordless so you could just charge them and pull it out when you have to go. You can have a good shave even if you’re camping or hiking. It also a speedy tool for trimming your facial hair. You don’t have to sharpen the razor or prepare water before you start shaving. Just turn on the switch and you shave away. This article will show you information to consider in choosing the best electric shaver for you. Read on and know the difference between the Braun 760cc and Braun 790cc. 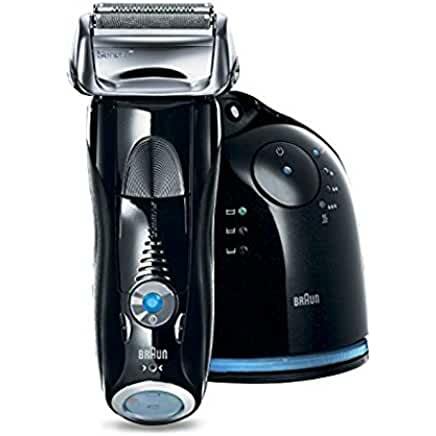 Without a doubt you will end up with the right electric shaver with the details and reviews this article is going to provide. Note: Above are the minor differences between the 790 vs 760, otherwise they have the same motor, flexing heads and technology. Braun 760cc is a versatile shaver that you would love to have in your grooming set. It is innovative and portable. If you need a constant grooming companion, then you should consider Braun 760cc. The Braun 760cc has Optifoil that provides a closer shaves. It also has ActiveLift to raise the flattened hairs on your skin. This makes shaving a lot easier. It has foil blades that give a close shave. It has 50 minutes of shaving time. It is water proof so you can wash it under the faucet. It has a quick-charge feature. It has an Active Cooling Technology that cools the skin as you go. What's really unique about the 760cc model is the sonic technology built into it that has 10,000 micro vibrations per minute which is awesome. These small vibrations going so fast over your face helps lift up the hair and ends up with a very close shave! The shaver head has 2 foils one on each side of the head and it has an activelift trimmer in the middle that lifts up the hair so one of the 2 foils captures the hair and cuts it. Braun didn't stop there though. They made the heads so they are flexible which means that the head and foils easily follow the contour of your face. The 2 foils also move up and down which helps to keep the blades close to your face. This is a big difference from most shavers and what makes it stand out. The heads actually moves a full 40 degrees. This all results in an electric shaver that cuts hair on your face as close as .005 mm! Find out more on amazon for the best price here. Now there are times where you don't want the head to float and flex. You do have the option to use the headlock features which will keep the head in a fixed position. Lastly, there are 3 modes you can put the shaver in. Normal mode, extra sensitive and intense. Basically it sets the aggressiveness on how close the shave gets. One feature that I do use a lot to trim my mustache and side burns is the popup trimmer. With the flick of your thumb you can engage the trimmer and you are on your way to trimming. This is nice because you don't have to buy a separate unit to do it. The 760cc has a quick charging time. This makes it very convenient to shave in a place where there is no electricity. It is great if you want to have a spa feel during shaving because it cools your skin as you use it. It is definitely a good buy for men with sensitive skin. You can find more details on Amazon Here or read our Braun 760cc Review here. If your facial hair grows fast in between shaves, the 790cc is the best one for you. Also, if you have sensitive skin, you won’t have to worry about irritation at all. This is because of the ActiveLift technology that takes care of the flat hairs on the skin. Many tend to grow mustaches, sideburns, and beards. The 790cc would be the best tool for that. You could even set it in different modes—intensive, extra sensitive, and normal. We do have a more detailed review on the 790cc if that is what you are looking for at this point. See our 790cc review here. You can watch the video below on how shaver precision cutting system works. 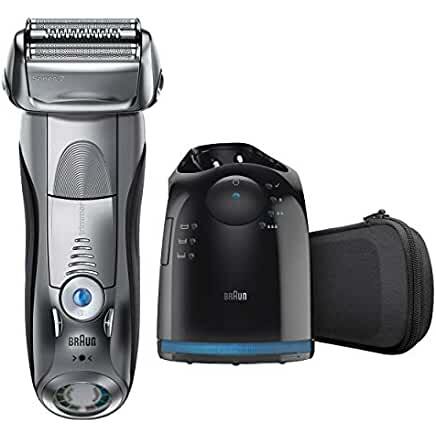 I do have a detailed article on Braun Series 7 replacement head for specific series 7 models that you can buy if you are in the need of an upgrade on your blades or they are not cutting as close as they use to be. Those who have used Braun 790cc find the product very useful while they are mobile. It is cordless and charges for an hour so that you can use it without worrying that it will suddenly stop. You could also opt for the quick charge feature that lasts for only 5 minutes. So, there are minor differences here and they are minor. Both of the shavers are waterproof up to 5 meters so it's totally acceptable to wash the shaver in your since using your faucet. They both have the same activelift and 10,000 micro-vibration technology along with the flexible heads. They 790cc has the fast clean in 25 seconds option and automatic program selection where the 760cc does not. It also has 6 battery levels where the 760 has 5 levels. The 790 also has an extra hygiene status as well. Lastly, the 790 has a leather pouch included where the 760 has a pouch but its not leather. Honestly guys the price difference between the two is very small at this point. They both have all the same technology for a close shave, end of story. You can't go wrong either way. You will see that the 790cc is listed as a best seller on amazon. Click Here For The Best 790cc Price On Amazon.